Three years ago, my dad bought a pizza oven. You see, my dad has a bit of a pizza obsession. When he was younger, my Dad fancied himself quite the pizza master. He managed a little pizza shop, so he takes every opportunity to show off his skills. and you always but cheese on the bottom and toppings around the edge. we knew exactly what they were going to make. 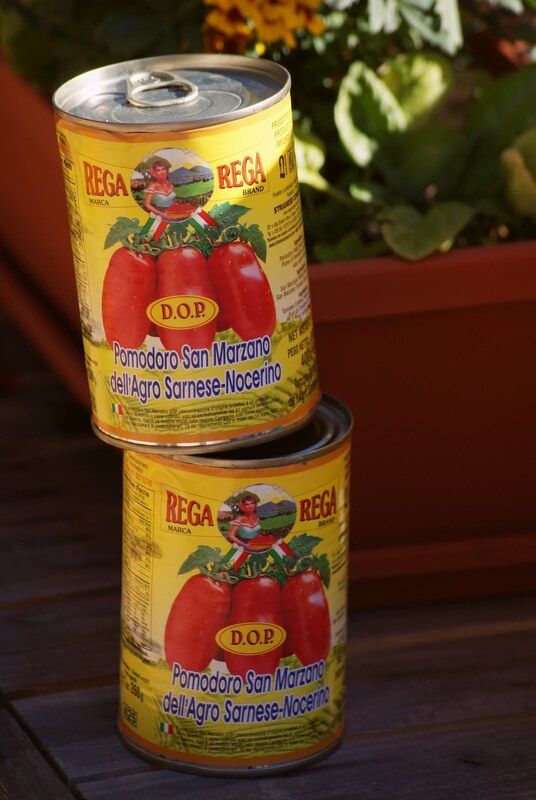 San Marzano tomatoes are a variety of plum tomatoes that are considered by many chefs to be the best sauce tomatoes in the world. I used them to make a basic pizza sauce, adding only a few herbs. I definitely agree with those chefs. These tomatoes were full of flavour and delicious! 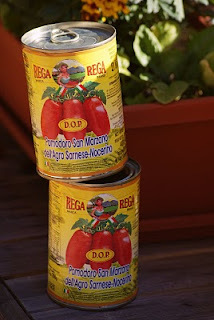 Nothing like your average supermarket canned tomatoes. These could possibly become a pantry staple for me. 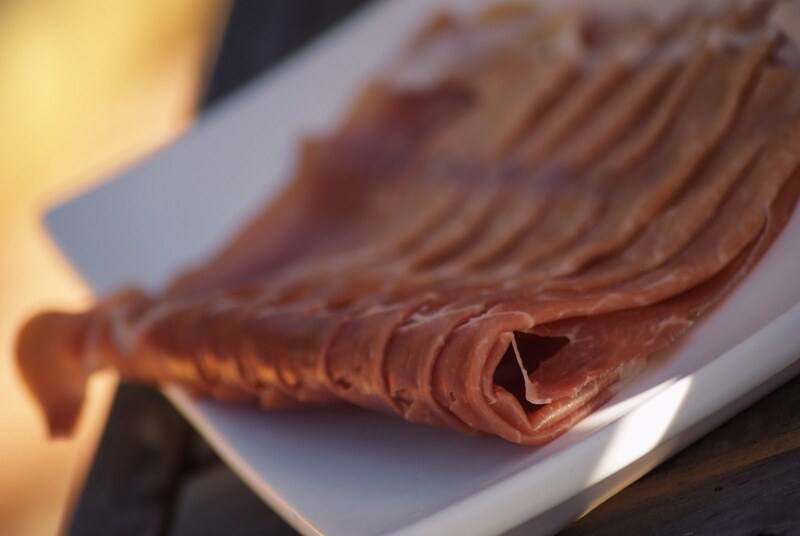 according to the iDELI website, King's Prosciutto di San Daniele is widely regarded as the finest producer of Prosciutto di San Daniele. I can honestly say I've never actually had prosciutto before receiving these products. But according to my prosciutto expert parents, it was fantastic. Another ingredient I'd never had at home, only eaten in restaurants. You see, I'm a little bit clueless. 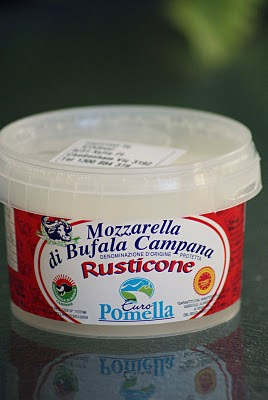 I seemed to have this idea in my head that buffalo mozzarella was like buffalo wings. Meaning it had nothing to do with buffalo. I made up some pizza dough from my never fail recipe. Put the yeast, salt and warm water in a small bowl and whisk until just combined. Gradually whisk in the olive oil, then leave in a warm place for 10 minutes, or until the mixture starts to bubble. Add the flour and knead for 15 minutes, or until the dough is smooth and elastic. Rub the inside of a large bowl with olive oil. Roll the dough around in the bowl to coat it with oil, then place in the bowl, cover with a clean cloth and leave in a draught-free spot for 1–1.5 hours, or until doubled in size. Place the dough on a baking tray lined with baking paper, cover and leave in a draught-free spot for 15 minutes, or until risen by half again. Then all you have left to do is put on your choice of pizza sauce and your toppings. I decided to keep it simple with just the buffalo mozzarella and prosciutto. 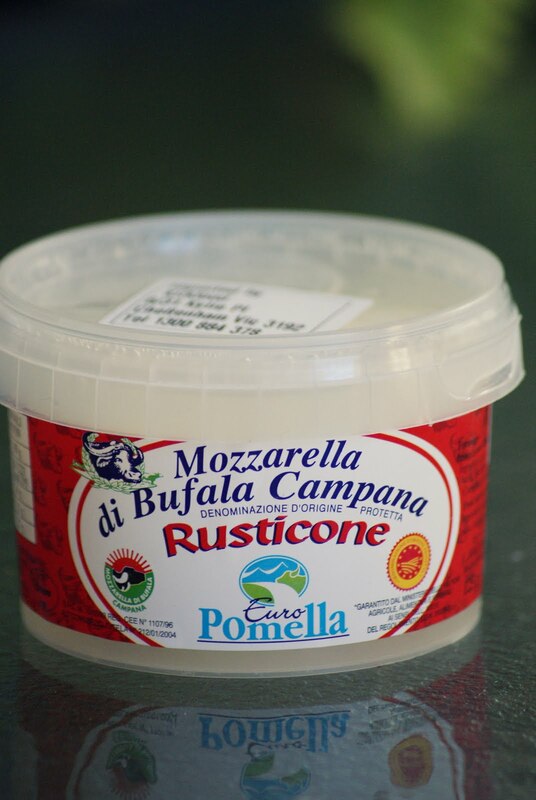 and the buffalo mozzarella melted perfectly. iDELI's products were fantastic for making pizza. 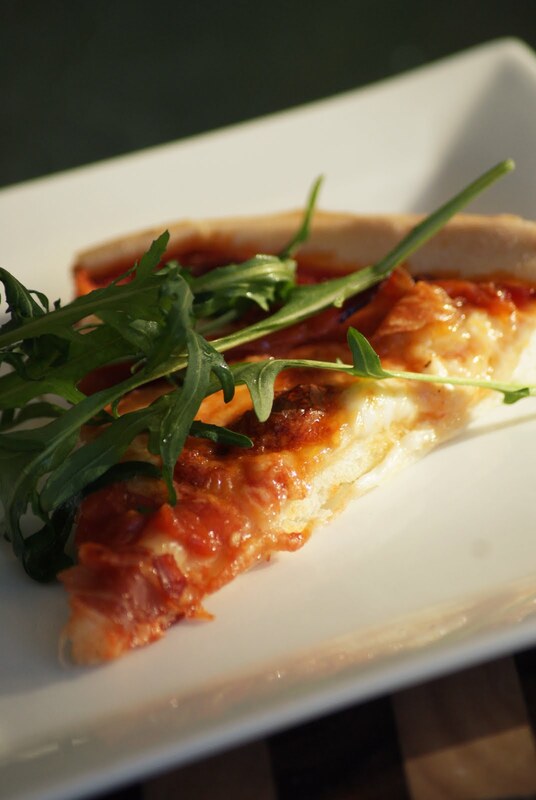 It added a gourmet element to the pizzas which made it perfect for having people around. We often have "pizza parties" so I'd definitely consider buying these products again for one of those nights. Plus, buying their products is so simple! Just head to their website! I concur, I would eat that very happily, and prosciutto is one of my favourite toppings (along with olives, mushrooms, pancetta, salami and cheeses), YUM! Wow.. that looks so delicious! 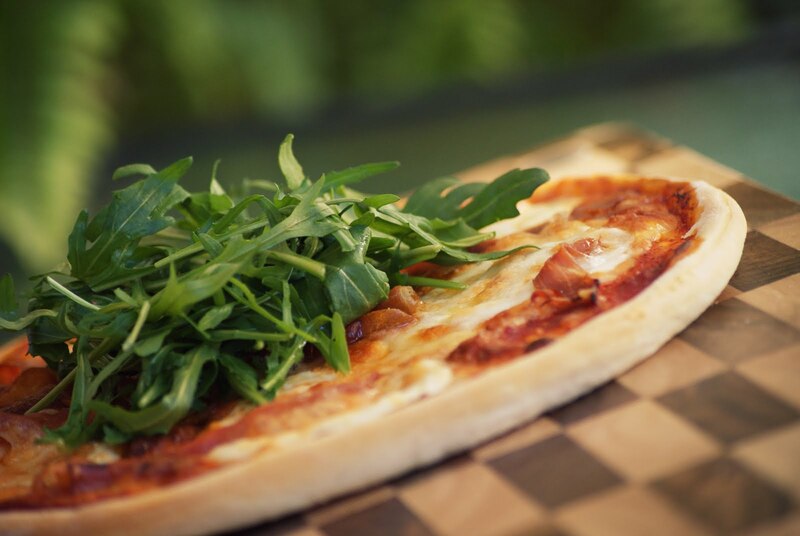 Great photos..
Jasmine - Cheese definitely makes a pizza!